Winnetka Historical Society Summer Gala: 990 Sheridan Road, a beautiful historic home on the ravines. Join us for a celebration of the 150th anniversary of our Village! Join us for a celebration of The Green Bay Trail on August 3 from 8 am to noon for the first annual Green Bay Trail Day, organized by Friends of the Green Bay Trail and sponsored by Charles Schwab. Activities for children, nature lovers, walkers, bikers and dog lovers will line the Trail from Tower Avenue to Hazel street. Bring the whole family for a morning of outdoor fun, food and music as part of Sesquicentennial Celebrations of Winnetka and Glencoe. Event will be held rain or shine! The mission of the Friends of the Green Bay Trail is to create and maintain a healthy habitat along the Green Bay Trail by removing invasive species and planting natives. To learn more, click here! Honor Winnetka’s business community at the Winnetka-Northfield Chamber of Commerce annual luncheon at the Winnetka Community House. All are invited to attend the annual lunch that recognizes outstanding area residents, community leaders, business members and volunteers. There will be networking, a fashion show, awards and a silent auction. Click here to register! Did you know that the architect of Winnetka’s Village Hall also designed Plaza del Lago and important buildings at the Lincoln Park Zoo? Or that Eero Saarinen was one of the architects of Crow Island School and designed all its original furniture? Discover connections between buildings in Winnetka and notable architecture in Chicago and around the country. Laurie Petersen, editor of the AIA Guide to Chicago, will give a presentation at the Winnetka Public Library that sheds new light on familiar buildings. Click here to register for the event! Watching Winnetka: Small Town Hollywood! Celebrate some of Winnetka’s most star-studded moments! Come hear local film historian Jeff Spitz present the history of big screen movies in small town Winnetka. Follow him as he provides a virtual tour of a community in the spotlight, highlighting everything from shooting locations used in prominent Hollywood films and TV shows, to local celebrities who went on to Tinseltown stardom. Clips will be included. Jeff Spitz is a Chicago-based, Emmy Award-winning documentary filmmaker, Sundance Film Festival honoree, and tenured Professor in the department of Cinema and TV Arts at Columbia College Chicago. For more information and tickets, go to winnetkahistory.org or call 847-446-0001. $50 individual tickets/$450 for a table of 10. WTTW’s Geoffrey Baer joins us for the Village of Winnetka's historic 150th anniversary kick-off event "Founder’s Day" at the Winnetka Community House! Sunday, March 10 marks the date of Winnetka’s founding in 1869—150 years ago! Bring your friends and family to this special event! Attendees will have the opportunity to meet Geoffrey Baer following his presentation. Refreshments will be available with a special community Toast to Winnetka. 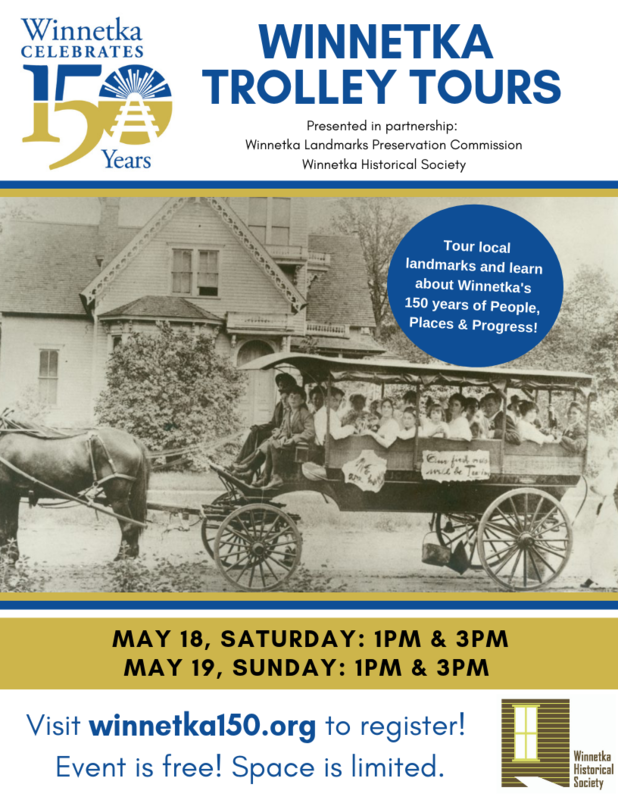 The event is free of charge and is in partnership with the Winnetka Community House, Winnetka Historical Society, and District 36.